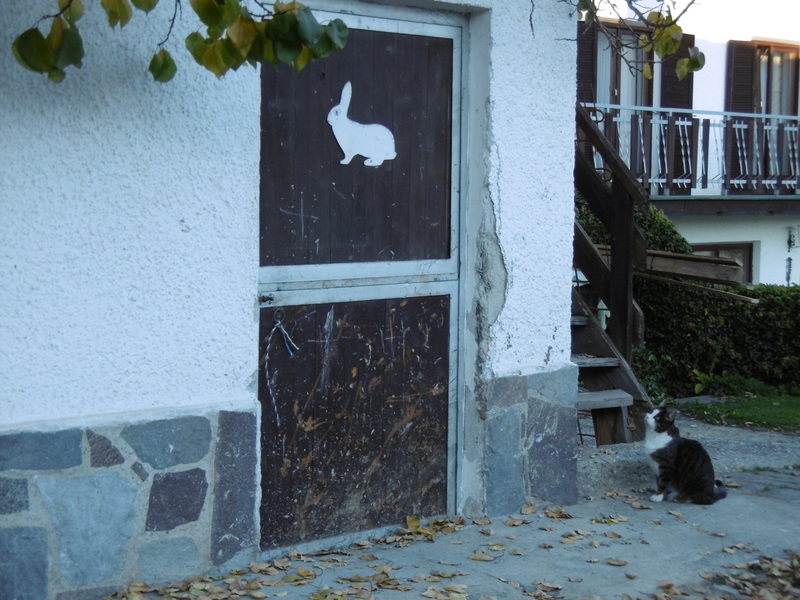 Although a brute beast who does not even know aleph bet gamel, this cat knows exactly what that sign means! A model of clear communication. Photo by Sean Manning, October 2017. Over on Language Hat, people are arguing about how to pronounce LaTeX, the encoding for mathematical formulas: does it end with <k> like in <tech> or <ks> like in <hex>? And for me it was worth it just for this footnote: “TeX is pronounced ‘tek’ and is an English representation of the Greek letters τεχ, which is an abbreviation of τέχνη (or technē).” All these years I’ve been saying “tex” (and “latex” for LaTeX) like a doofus! One letter in Latinized Akkadian (ḫ) and one in Latinized Old Persian and the International Phonetic Alphabet (x) have the same pronunciation. But look at which pronunciation it is! Now, <x> is an old and well-behaved letter, and in all of the languages which I know it is pronounced <ks>. That was how I learned to pronounce Greek xi ξ and Latin x, and I can even explain how we know it for Latin. There is a class of words like audax (plural audācēs) and rex (plural rēgēs), and it seems that when the stem ended in <c> or <g>, that short vowel [i] fell out, and audacis was pronounced audacs and was written as audax. So why in the name of Ea, Nabû, and Nisaba did the people inventing the International Phonetic Alphabet and creating the conventions for writing Old Persian chose <x>to write the sound <kh> instead? Because of that choice, we have to remember different rules for pronouncing words from one village and words from the neighbouring village, and phoneticians have to write <ks> when they transcribe the last sound in box or socks. The Ionians had a life hack for that 2500 years ago! They created one letter for that sound! Did phoneticians decide that <ks> is not really one consonant? Did the Russian philologists get a quota, and decide that IPA x was going to be pronounced like Cyrillic kha х which is more of a <kh> sound? Who has confused the signs and jumbled the tablets? John Cowen tells me that Latin probably borrowed its pronunciation of x from western forms of the Greek alphabet, where chi χ was pronounced [ks] not [kh]. But for 2000 years, there was no confusion about how this letter should be pronounced within a text written in the Latin script. I really want to know who decided to introduce this alternate pronunciation back into the west. The University of Victoria has a handy website if you want to hear how those IPA characters in square brackets are pronounced.